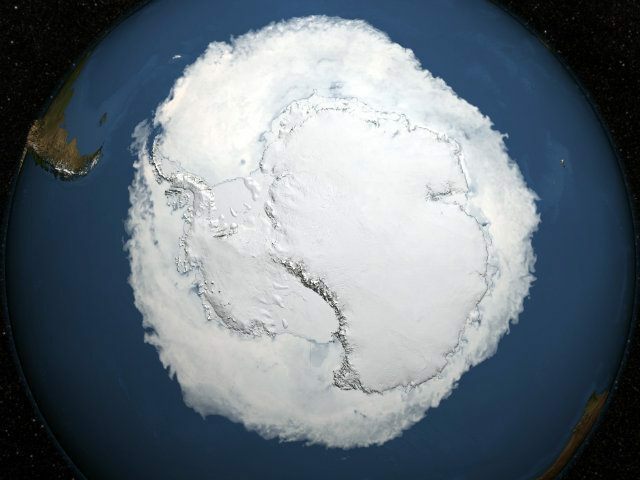 Antarctica is growing not shrinking, according to the latest study from NASA. Furthermore, instead of contributing to rising sea levels, the still-very-much-frozen southern continent is actually reducing them by 0.23 mm per year. The study – by an organization not hitherto noted for playing down environmental scares – will come as a major blow climate alarmists. For decades, they have cited Antarctica as one of the bellwethers of global warming catastrophe and have claimed – as the IPCC’s most recent Assessment Report did – that its land ice mass was slowly melting into the sea. But the satellite measurements used in the latest NASA report tell a different story. Unlike previous studies – many largely based on guesswork because the continent is so vast and inhospitable, meaning that data is extremely limited – they use satellite altimeters to calculate changes in the surface height of the ice. What they show is that the amount of ice lost by glaciers collapsing into the sea has been exceeded by the gain in ice mass from accumulated snow. Among those alarmists trying to put a brave face on the shocking news is the report’s lead author Jay Zwally. Like so many of his colleagues at NASA’s Goddard Institute of Space Studies (GISS), Zwally has fought heroically over the years to promote the climate change scare narrative – and he’s not about to give up now. “I know some of the climate deniers will jump on this, and say this means we don’t have to worry as much as some people have been making out,” he says. “It should not take away from the concern about climate warming.” As global temperatures rise, Antarctica is expected to contribute more to sea-level rise, though when exactly that effect will kick in, and to what extent, remains unclear.